People and organisations are becoming increasingly aware about choosing hygienic and better suited sanitary alternatives. One in every two women in India suffers from urinary tract infections (UTIs). Yes! Startling as it is, it is also equally alarming that for a country that has forged its dominant presence in space, healthcare adversity still persists as a problematic impediment. UTIs’ primary causal agent is Escherichia coli, though other bacteria and fungi may also lead to the said infection. Sanitary conditions in the country, especially for women, are shockingly poor. This scenario is gravely disappointing, considering the fact that UTIs can be very easily prevented by engaging in proper hygienic practices. 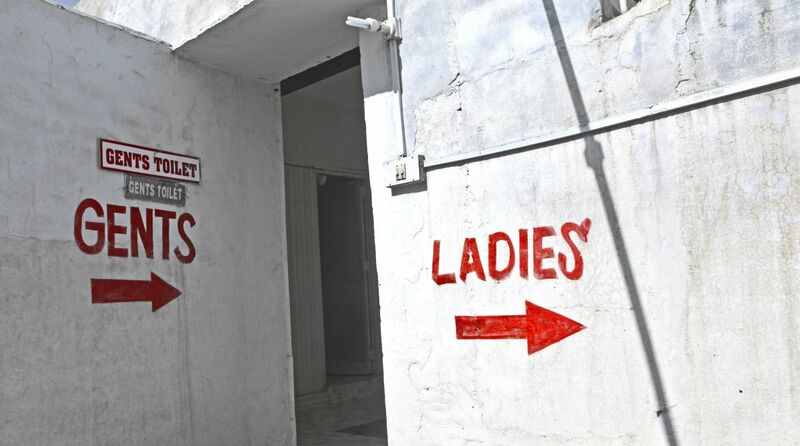 And to be fair, women have little choice when it comes to choosing hygienic and better suited sanitary alternatives. But the situation is gradually changing. People and organisations are becoming increasingly aware about this quandary women find themselves in, and are coming forward to support change. A number of sanitary products, designed exclusively for women, have reached the Indian market. Let’s take a look at what they are and what these products do. This product can be used by both women and men to sanitise toilet seats before use. Manufactured by Nagpur-based LB Consumer Goods Pvt. Ltd, the product promises to kill 99.99% of the bacteria within seconds after each spray. The user friendly sanitiser-spray is designed in such a way that it can easily fit inside the pockets of your jeans or trousers, not to mention your handbags and purses. The product is dermatologically tested safe for all skin types. One of the primary ingredients of this toilet seat sanitiser, the company claims, is tea tree oil — a natural anti-bacterial and de-odorising agent. It can also be sprayed on door knobs, flush handles and even toilet floors, which may come in handy in the absence of running water. Shake it well before use and then spray at least 7 to 8 inches away from the toilet seat so that it covers the area which will be in contact with your skin. Leave it there for about 5-10 seconds. The seat is now sanitised and safe to use. Another product that can be put to use to avoid unfriendly toilet seats, or rather UTIs, is a stand and pee device. PeeBuddy is one-of-its-kind portable urination device for women. Peebuddy makes urinating in public washrooms a hygienic, not to mention tension-free, task. The device is funnel-shaped and laminated with an additional water-resistant coating. The product is designed keeping in mind arthritis patients, pregnant women and cancer patients with very low immunity. A number of gynaecologists recommend this, as reported by the product’s website. The company claims to have sold 7,50,000 units already. Peebuddy says the product is ideal for public, airport or flight, and railway toilets and washrooms. It is very easy to use: Press the top and back to pop open the Peebuddy funnel, place the open end of the funnel between your legs right under the flow area, make sure the funnel is tilted forward, relax and pee. Remember to dispose off the used funnel before you exit the washroom. There is little to write home about when it comes to menstrual hygiene scenario in India. As per recent reports, 88 per cent of women use unhygienic materials such as newspapers, rough cloth, ash, and husk while menstruating. On the other hand, urban women may have graduated to sanitary napkins available in the market, but these are not completely above par either. Many reports suggest synthetic sanitary napkins have a lot of disadvantages associated with them. Scientific experiments have shown that sanitary napkins can cause, and even lead to, cancer due to the presence of dioxin that is used by manufacturers to bleach the pads. Also, these are hazardous for sanitation workers who have to handle disposal of the used pads. Looking at all these issues, some companies are coming up with the old and trusted cloth pads. Eco Femme is one of them. It has been urging women across India to join the “Cloth Pad Revolution”, which will not only protect themselves but also the environment. The cloth menstrual pads produced by Eco Femme are designed like a typical pad and can be used as such. However, it is reusable and more affordable. Another substitute of synthetic, not to mention dangerous, sanitary pads are these biodegradable sanitary napkins. These napkins are manufactured by Anandi, which claims the products have purely agricultural origins and are made in an environment that avoids any contact with hazardous chemicals. It has polylactic acid based films and is non-woven. The product is extremely lightweight and ideal in size and shape. It is tested to be skin-friendly, with an active pH between 6.89 and 7.15 — suitable for sensitive areas, says the company. It is also fully compostable and biodegradable and can be used like any other pad. An increasingly popular substitute for sanitary napkins and tampons is now available in the market in the form of Shecup. Shecup is a popular menstrual cup brand in the country. It is made up of health grade, non-toxic and non-allergic silicon, and hence there is little risk of acquiring any infections. It is extremely safe to use and has been tested by some of the most stringent international norms for ensuring users’ hygiene. It is lightweight and easy to carry and has the added benefit of reusability. The product also allows women to take up and enjoy extreme physical activities like swimming, as it is non-absorbent. Shecup is not only an ideal menstrual product for women but is also eco-friendly. It is recyclable too, and hence, helps reduce waste. Costing far less than sanitary napkins and tampons, Shecup it is also quite user-friendly. All one needs to do is sanitise the cup (by boiling) and insert it (the open side upwards) into the vaginal region. One can leave it so for about 10 hours.